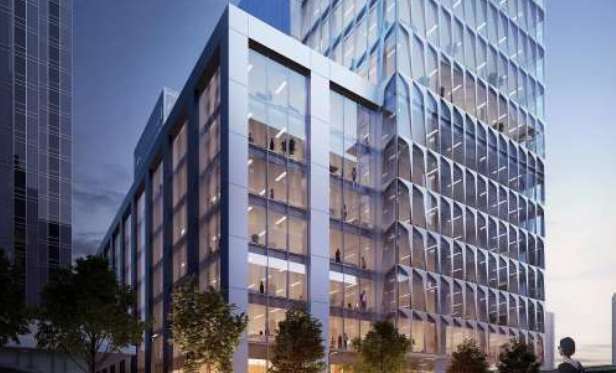 In the largest office lease year to date, Asana will occupy the entire 265,890-square-foot office portion of 633 Folsom St., a 12-story building in South of Market. Asana, the software company led by one of Facebook co-founders, leased a new SOMA headquarters (credit: Gensler). SAN FRANCISCO—In the largest office lease year to date, Asana will occupy the entire 265,890-square-foot office portion of 633 Folsom St., a 12-story building in South of Market. The space near Second Street is being renovated and expanded for an opening next year. The software company led by Facebook co-founder Dustin Moskovitz will use the space as its new headquarters.